A labor certification from the U.S. DOL is generally the necessary first step in most employment-based immigrant visa petitions. In the labor certification process, the employer is asserting to the labor department that there are few or no qualified U.S. workers who are available and willing to perform the job duties they are presenting. The employer shows this by testing the job market for the position it claims has a shortage of U.S. workers. This process exists to protect against displacement of American workers. We will start our relationship by discussing the labor certification process with both you and your employer. We will then work together to discuss and determine the minimum requirements for your position. Our work will involve preparing the application for alien employment certification (labor certification) and advising your employer on various matters such as meeting the prevailing wage and recruitment. We will then monitor the case as it goes through the U.S. Department of Labor. After the case clears the labor department stage, we will advise you on and prepare the immigrant visa petition and the permanent residency applications for you and your family. Most unskilled workers, skilled workers and professional workers need to obtain a labor certification before applying for a green card. There are exceptions for: (1) persons in shortage occupations (registered nurses, physical therapists, sheep herders and those demonstrating "exceptional ability" in business, science or arts) as defined by the Department of Labor; and (2) persons demonstrating to the U.S. Citizenship and Immigration Services that they possess extraordinary ability, are multinational executives or managers, or that they are working in the U.S. "national interest." Persons holding such positions, which are considered unique and therefore do not displace American workers, may apply directly to the USCIS for an immigrant visa. Some outstanding university and college teachers and researchers in tenure-track jobs may avoid labor certification too. Other college teachers and researchers may benefit from a fast-track form of labor certification called "special handling” where you have to show prior recruitment for a position. If you qualify for one of these expedited categories, you may save yourself years of processing time. The time required to obtain a labor certification can vary. Starting March 28, 2005, the labor department implemented a new re-engineered permanent labor certification program. The filing is done through the foreign labor certification permanent online system or PERM. It will take a few months to undergo recruitment and to actually file the PERM application. After it is approved, your employer files an I-140 Immigrant Petition for Alien Worker for you. If the visa numbers are current and available for you then you may file an I-485 application for adjustment of status, which is the final step in you obtaining your permanent residency. 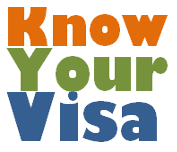 Currently there is a backlog for professionals (those with a bachelor's degree) and skilled workers (jobs requiring two or more years of experience) and individuals under these categories are able to go through the first two steps (labor certification and I-140) but need to wait for a visa number before proceeding to the final step (I-485). There are many people who filed applications for alien certifications prior to March 2005, and have cases pending under the old system. The U.S. department of labor is trying to address this backlog and it should be eliminated by September 30, 2007. All of the cases that were filed under this group should have received letters from the labor department asking the employer if it would like to continue the case. In some situtions, the letters have not been sent out but the cases closed out. The labor department has a system in which to open cases that have been erroneously closed out. Under the PERM regulations, the employer must hire the foreign worker as a full-time employee. There must be a bona fide job opening available to U.S. workers. Moreover, the job requirements must adhere to what is customarily required for the occupation in the U.S. and may not be tailored to the worker's qualifications. In addition, the employer shall document that the job opportunity has been and is being described without unduly restrictive job requirements, unless adequately documented as arising from business necessity. The employer must pay at least the prevailing wage for the occupation in the area of intended employment. For professional positions, the employer needs to place a job order in the state job bank, notify a bargaining representative (or put up an in-house posting where there is no union involved) as well as show recruitment for the position. Some of the examples of the types of recruitment include: advertising on the internet, advertising on the employer's website, using a professional recruitment agency, advertising at a local newspaper, tv or radio ads, advertising in-house under the employee referral program, advertising at college or university, etc. For non-professional positions, extensive recruitment is not necessary. Audits/requests for information: Supporting documentation need not be filed with the application, but the employer must provide the required supporting documentation if the employer's application is selected for audit or if the Certifying Officer otherwise requests it. Retention of records. The employer is required to retain all supporting documentation for five years from the date of filing the Application for Permanent Employment Certification. For example, the SWA prevailing wage determination documentation is not submitted with the application, but it must be retained for a period of five years from the date of filing the application by the employer. Schedule A is a list of occupations, set forth at 20 CFR 656.15, for which the US Department of Labor has determined there are not sufficient U.S. workers who are able, willing, qualified and available. In addition, Schedule A establishes that the employment of aliens in such occupations will not adversely affect the wages and working conditions of U.S. workers similarly employed. 2. Professional Nurses - the alien (i) has a Commission on Graduates in Foreign Nursing Schools (CGFNS) Certificate, (ii) the alien has passed the National Council Licensure Examination for Registered Nurses (NCLEX—RN) exam, or (iii) the alien holds a full and unrestricted (permanent) license to practice nursing in the state of intended employment. 3. Sciences or arts (except performing arts) - Aliens (except for aliens in the performing arts) of exceptional ability in the sciences or arts including college and university teachers of exceptional ability who have been practicing their science or art during the year prior to application and who intend to practice the same science or art in the United States. For purposes of this group, the term "science or art" means any field of knowledge and/or skill with respect to which colleges and universities commonly offer specialized courses leading to a degree in the knowledge and/or skill. An alien, however, need not have studied at a college or university in order to qualify for the Group II occupation. 4. Performing arts - Aliens of exceptional ability in the performing arts whose work during the past 12 months did require, and whose intended work in the United States will require, exceptional ability. An application for a labor certification for a Schedule A occupation is done by filing an ETA Form 9089, in duplicate with the appropriate USCIS Center, NOT with the Department of Labor.